This new event is bringing together the disc golf community and local families to raise funds for IPEI’s grant programs for teachers. Check out our event on Facebook and invite your friends! 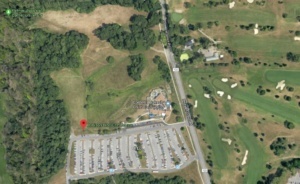 What is the IPEI Disc Golf Event? This is an all-age and family friendly event if you are interested in learning how to play disc golf or want to play in the tournament! NEXT GEN players can earn points and can register through the Disc Golf Scene! Where is the Robison Disc Golf Course? The disc course is situated between Pleasant Grove and Triphammer Roads, adjacent to Palmer Woods, on Cornell’s campus. Parking is FREE in A Lot, which is located behind the Cornell’s Child Care Center off Pleasant Grove Road.